NASCAR and Charlotte Motor Speedway enlisted input from several NASCAR Sprint Cup Series drivers in devising a novel format for the NASCAR Sprint All-Star Race, scheduled for May 21 at the 1.5-mile track in Concord, N.C. (7 p.m. ET on FS1). The result, announced on Friday, is a 113-lap event that features two 50-lap segments, each requiring a green-flag pit stop to change a minimum of two tires, and a closing 13-lap shootout that counts only green-flag laps. A drawing before the final segment will determine whether the top nine, 10 or 11 cars will be required to come to pit road and change tires for the last run. Those cars with fresh rubber will line up behind the remaining cars, which must stay on track on old tires, which must have been changed in the second segment before Lap 85. Eligibility for the All-Star Race is limited to Sprint Cup race winners from 2015 and 2016 and to full-time drivers in 2016 who are previous winners of the event or former series champions. In addition, three drivers will be added from the May 20 Sprint Showdown, which will be run in three segments. The winner of the first 20-lap portion of the race will qualify for the All-Star Race and will cease to compete in the Showdown from that point on. The same goes for the winner of the second 20-lap segment. A 10-lap last-chance shootout will determine the third and final Showdown qualifier, with the winner advancing. The Sprint Fan vote will fill the field, with the top vote-getter making the All-Star Race. If there are fewer than 20 drivers entered after the Fan Vote, the remaining spots will be filled by the next driver or drivers in the voting. Currently, there are 16 drivers eligible for the All-Star Race, including three-time series champion Tony Stewart, whose medical waiver for Chase for the NASCAR Sprint Cup eligibility also extends to the All-Star Race. Perhaps the most unusual aspect of the new format, though, is the number of laps to be run in the final segment. 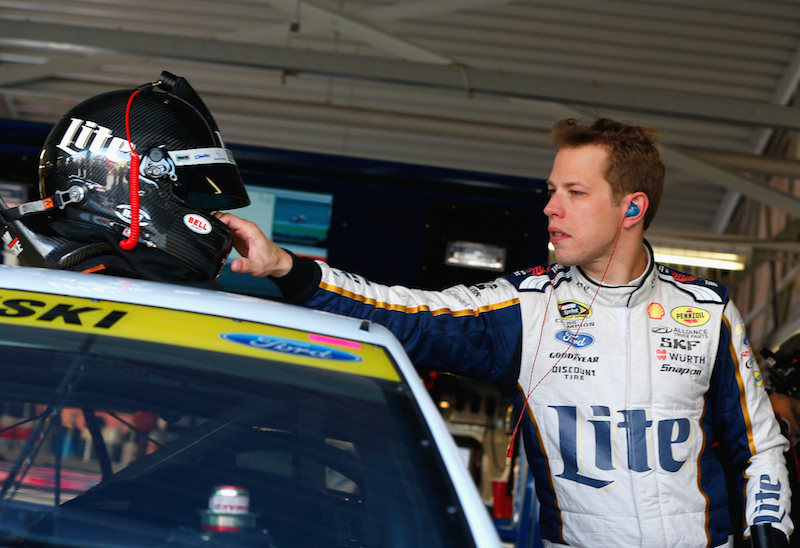 “I would like to take full credit for that, but I think probably more credit on that belongs to the speedway, of trying to come up with a number that would stand out and, for some reason, everyone keeps asking that question, ‘Why that number?’” Keselowski said. “And I think that’s great. That means they were right.